Now, Jumia uses Workato to connect JIRA and Zendesk to automate their ticketing management, as well as JIRA to Google Sheets and JIRA and Zendesk to Slack for auto-reporting. Jumia is Nigeria’s number one online retailer, with warehouses in 11 countries. They operate several Ecommerce platforms that they develop in house with distributed teams in Paris, Germany, Portugal and throughout Africa. With so many platforms to maintain under the umbrella company, Jumia has its own internal branch of Customer Service that takes care of any issues each platform might have. “We’re like customer service but for the shop’s staff. We liaison with development and make sure they tackle any problems,” explained Carlos. When a shop employee submits a customer service ticket in Zendesk that requires development work, the team can automatically escalate the ticket to JIRA using an out of the box connector. However, once the Zendesk ticket has synced with JIRA, there is not way to get an update on the progress of the ticket without manually logging into JIRA and then manually adding information to Zendesk. To further complicate matters, Carlos and his team use two different instances of JIRA, each for different types of projects, but they need both instances to sync with Zendesk. Carlos created Workato recipes that close this information gap and allow the person who submitted the ticket to check on the status of the dev team without any human intervention. When a JIRA ticket is updated, Workato checks if there is a Zendesk ticket associated with the ticket and moves the relevant information fields from JIRA into the Zendesk ticket. This eliminates the need for the customer service team to manually ask the development team where they are on an issue, and by making the ticket available to the customer, also eliminates the need for the customer to ask the customer service rep.
Another recipe, injects comments into the Zendesk ticket letting the inquirer know the JIRA ticket has gone from stage A to stage B. The customer never has to ask what stage the issue is in development because they can see it themselves in both the comments and in the customized fields in the Zendesk ticket. This saves everyone time and provides a better experience for the customer, who will have updates in real time. Carlos spearheaded the use of Workato in the company and soon the management team started using it for reporting as well. Different teams have different Key Performance Indicators (KPIs) used to measure their progress and they come from the app they use the most. The QA team reviews development upgrades to make sure it meets the needs of the customer. They can review a ticket and approve it or reject it. If it is rejected, they will review it again when it is fixed. The Workato recipe watches in JIRA for updates to tickets with specific status’ and goes through all the comments in the JIRA ticket looking for specific text patterns that indicate that the QA team has gone through the ticket and approved it or not. This triggers an update in the Google Spreadsheet. Jumia can process those events later and gather statistics on how many times the ticket has gone through approval or not. Sometimes tickets need to escalate to other teams outside of the customer service and development teams and simply reassigning the ticket in Zendesk or JIRA does not provide a real-time notification to the team who needs to take care of it. 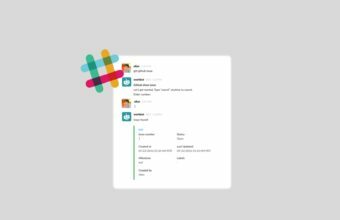 “This integration is exciting for us as most of the existing Slack integrations are very limited. There wasn’t much room to use those tools in the way that I wanted. The out of the box connection from Zendesk and Slack can only be opened or closed, you can’t say – ‘Ok I want to send a notification, but only if the Zendesk ticket has been closed in the past 24 hours.’ That’s why I need Workato. Plus, I really don’t want to use one provider for this, and a different provider for that. Workato can do everything from one place,” said Carlos. The main KPI for the support and launches team at Jumia is the Customer Satisfaction rating, which indicates if the different shops are happy with the support they are getting. Their approval rating is very high, in part due to the efficiency brought by their integrations. “We consistently have an above 95% approval and Workato has allowed us to concentrate on what we should be doing to keep that approval rating high. Our recipes have a significant positive impact. Everyday, in the day to day work of the agent, they really notice the difference. They can concentrate on the problems that are reported and they don’t really have to remind themselves to send notifications to this team or that team. The agents feel they can concentrate on the issue at hand without any distractions,” said Carlos. “Basically, Workato allows me to eliminate tasks and bridges two completely separate applications – JIRA and Zendesk – with not only one another, but Slack as well. If we didn’t have the ability to gather information from one to the other we wouldn’t be able to be as efficient. It keeps my team focused on exactly what they need to be doing instead of wasting time with manual notifications. Having these things automated saves time for my team and lets us concentrate on real issues,” said Carlos. Want to connect your Customer Service and Engineering teams like Jumia?